Our Father in heaven Hallowed be Your Name ‘ELOHE TSHUAH God my Salvation Ex. 15:2Thy Kingdom come. Thy will be Our done. On earth as it is in Heaven. We thank You for the sacrifice of Jesus and the eternal love of the Father, and we decree in this nation, a turning, that the celebration of the death and resurrection of Jesus will be respected, honoured and loved by people of all communities. In the Name of Jesus, we speak over this land and we declare, “You are gracious and compassionate… abounding in love” (Psalm 103:8.) We cry out for a fresh revelation of the depth of Your love to come upon Your people, restoring first love and healing every wound. In the Name of Jesus, we speak resurrection life into every God given dream, vision and ministry that this message of Your love will go forth to our nation. In the Name of Jesus, we speak protection over all places of worship and every place where people gather. Thank you to all our friends, old and new, who are praying with us. Have a wonderful Easter. Our Father in heaven Hallowed be Your Name Y@HOVAH ROHI LORD our Shepherd Ps. 23:1 Thy Kingdom come. Thy will be Our done. On earth as it is in Heaven. You see me as I really am. All that I am, or ever have been. Jesus, Risen Lord, I open all my doors to you. Enter every room in me. and have your peace today. Jesus, Saviour of the world, I release my life to you. Cover me with the blood of your suffering. Cleanse me with the tears of your compassion. Jesus, Judge of all, I surrender to you as judge of my life. Fill me with your mercy. Give me your humble heart. This is the way to reach Your heart. Prayer is truly the way to get to know You. more than when I am in prayer with You. more intimate than any other time. When I find fulfilment just by being with You. deeper and deeper into Your soil. We thank You for every righteous inheritance within the House of Lords, for the men and women who have stood for Kingdom principles through the years and for the anchor it has been to the nation in past seasons. We decree and declare in this season of Governmental shift, Godly heritage will be recovered, restored and connected to Your future purpose for the Upper House and Godly design established. In the Name of Jesus, we release Your ways and Your thoughts to every member of the House, and we decree those chosen and appointed by You will rise to a new level of authority, wisdom and stature, that they will speak and lead according to Your purpose and plans. 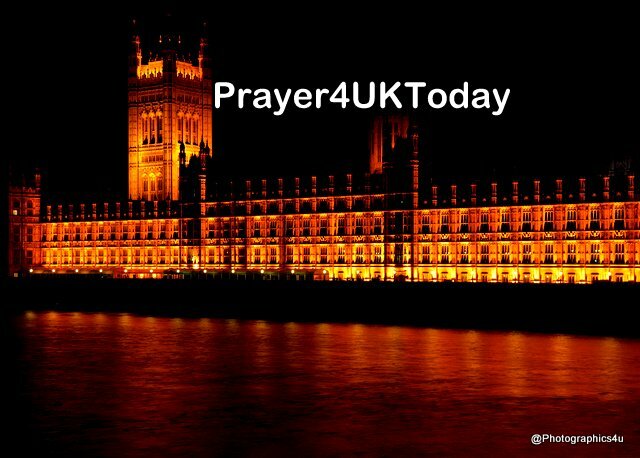 Now, we stand as Your Ekklesia, and we decree and declare over all the debates concerning the EU Withdrawal Bill in the House of Lords, that any aspect of the Bill or any attempted amendment which would harm Your plans for the UK will be turned around for good. We decree the passage of the Bill will be completed in Your perfect time, unhindered by the plans of man or of the enemy.